It seems ironic and foolish to speak of churches having “worship wars.” Nevertheless, over the past couple of decades many congregations experienced conflict over that very issue. Some worshipers preferred a more formal, meditative style that promotes a deep sense of reverence toward God. Others wanted a freer, louder style that expresses joyful praise and celebration. In response, many churches either developed a blended worship style or established multiple worship times with varied worship styles. Differences in congregational worship styles go back to the earliest years of the New Testament church. Worship by Jerusalem believers no doubt looked different from worship by Christians in Corinth or Ephesus. Then and now, a formal, meditative worship style is neither better nor worse than a celebratory style. The Lord deserves both our deepest reverence and our most joyful praise. That said, there are some ways to get worship wrong—or to frame it positively, to get worship right. We find these qualities revealed in an event that took place when Paul and Barnabas proclaimed the gospel in Lystra. The event had nothing to do with the style of worship; it had everything to do with having the right faith, worshiping the right God, and believing the right message. Getting worship right involves having right faith. In Lystra, Paul and Barnabas happened upon a man sitting along the road. Presumably the man was begging for money since he was unable to walk. In fact, the man had been lame from birth. Paul looked at the man, however, and saw that “he had faith to be healed” (Acts 14:9). What does such faith look like on the face of a lame man? The text doesn’t say. Nonetheless, Paul recognized it and directed the man to get up on his feet. The man proved he had the right faith—faith in the Lord who can meet our deepest needs—by jumping to his feet and walking around for the first time in his life. Getting worship right means worshiping the right God. The crowd of people in Lystra who saw the lame man suddenly jump to his feet reacted by getting it wrong. The onlookers were steeped in pagan Greek mythology, so they shouted that Paul and Barnabas must be gods. The uproar led the local pagan priest to organize a sacrifice so that the people could offer worship to Paul and Barnabas (Acts 14:11-13). Too often, worshipers today are tempted to give more attention and praise to their favorite worship leaders than to the Lord those Christian leaders serve. True worship—right worship—adheres to the most important command in Scripture: “Love the Lord your God with all your heart, with all your soul, with all your mind, and with all your strength” (Mark 12:30). Getting worship right includes the right message—the gospel message of truth. Paul and Barnabas quickly corrected the people of Lystra, using the opportunity to turn people’s attention to “the living God, who made heaven, the earth, the sea, and everything in them” (Acts 14:15). The message Paul proclaimed was similar to the message he later spoke to the philosophers in Athens (see Acts 17:22-31). That is, he started where the people were in their understanding of spiritual matters and guided them toward the one true God who provides all that people need for abundant life (Acts 14:17). That is the message of the gospel! God loves sinners so much that He gave His only begotten Son to provide salvation from sin, death, and the grave. Right worship reverberates with the message of good news in Jesus Christ. How do you distinguish between preferences regarding worship styles and basic requirements for right worship? 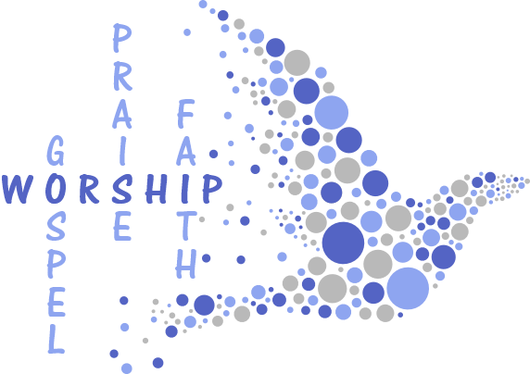 What are some ways that your church’s worship services encourage faith, praise God, and proclaim the gospel?